There was a lot of this yellow going around. 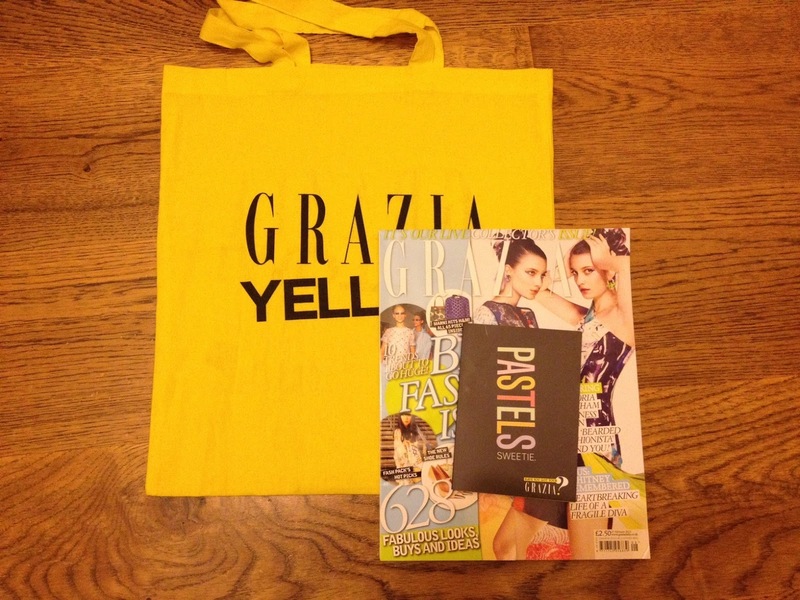 What was in the Grazia bag? The Grazia Big Fashion Issue.